A building on the grounds of the Fábrica de Chá do Porto Formoso, the Tea Factory at Porto Famoso on the island of São Miguel, Açores. Ann photographed it wondering if I would have liked to draw it. I used her photo as a reference for a side by side freehand drawing in Procreate on my iPad Pro with an Apple Pencil and a couples of vacation hours. 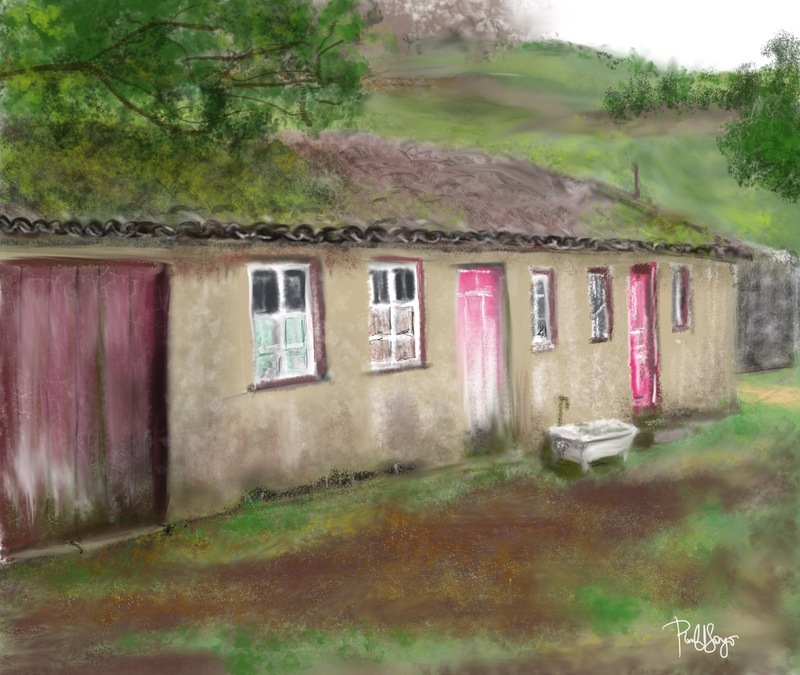 This entry was posted in Digital Artwork, iPad Art, Sketches and tagged Açores, Azores, Fábrica de Chá, Porto Famoso, Procreate, São Miguel by portfoliolongo.com. Bookmark the permalink. Thank you! So kind of you.